I guess I'm either too busy or maybe getting old, but I have 2, yes 2 post I forgot this week. I'm going to blame it the holiday season and my change in schedule. First I want to share what's going on over at Hobbycutz this week. I have a fun Christmas card to share using the Kenny K 'Mistletoe' image. I colored the image using the standard red and green, then I used some green glitter on the Hobbycutz wooden snowflakes. Hope over to Hobbycutz and see all the inspiration. I was challenged this week to create a CAS card for 613 Avenue Create, so as I started to plan a card I wanted it to be very CAS. 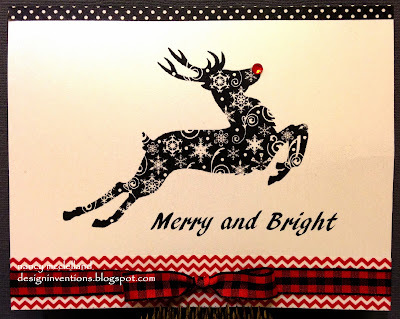 Using the Bugaboo 'reindeer' digital image, I printed it directly on shimmer paper and added a simple sentiment. I trimmed and folder into an A2 card, putting a row of red washi tape on the bottom and a row of black washi tape at the top. The band of checked ribbon at the bottom was from my stash and of course there has to be a little red bling for a nose. So there you have it, sorry for the late post but go over and check out everything at 613 Avenue Create. Thanks for stopping today and stay warm wherever you are. You can chose any blue hues you like for this challenge, but I'll give a color palette to start with. I'm featuring the Butterfly image from Oak Pond Creations. 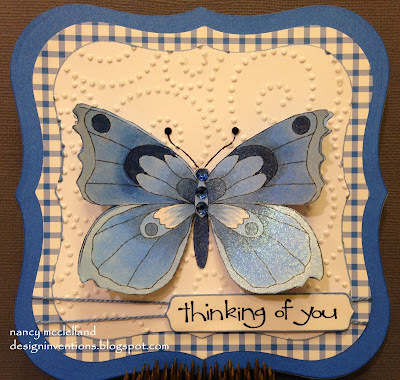 A simple 'thinking of you' card is always needed in my card stash along with a CAS look. Here's a close up of the butterfly. So go pick any Blue Hues you like and join us over at The Outlawz. The set that is being featured is this great little Owl set. I am in love with Owls right now so when I had an opportunity to work with these guys I was very excited. 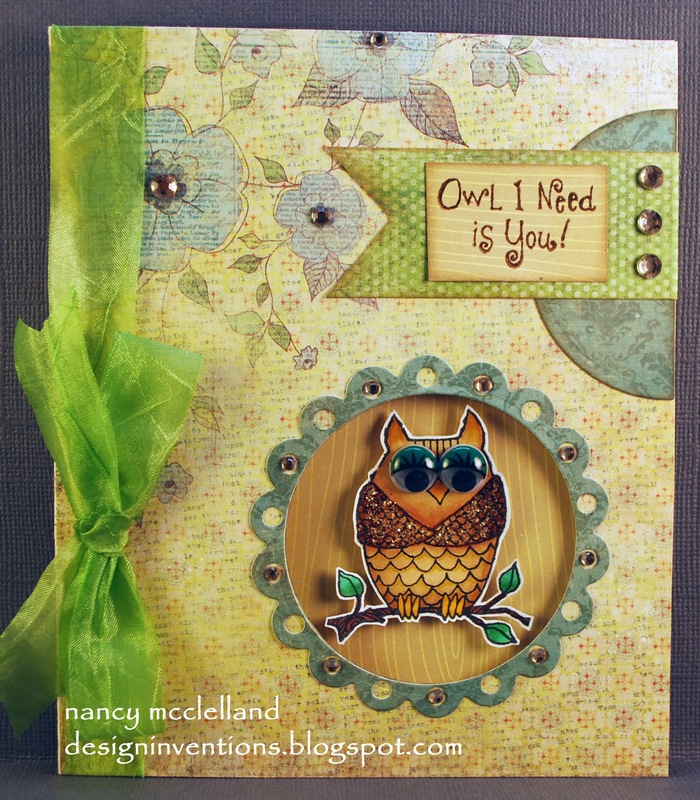 I have these googly eyes in my stash that I thought would look so cute on this owl, they have these fun eye lashes and eye shadow, so I planned my card totally around them. I featured a window card, using a Spellbinders die that would frame my image. 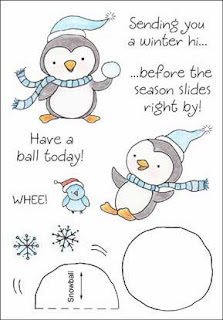 Hopefully this card give you a big smile. Please visit the Inky Antics site and leave me a comment. 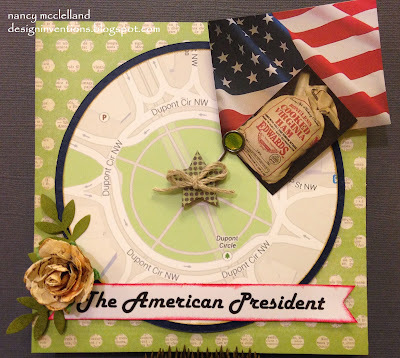 It's that time of the month, the second Saturday of the month, Super Scraps Saturday! 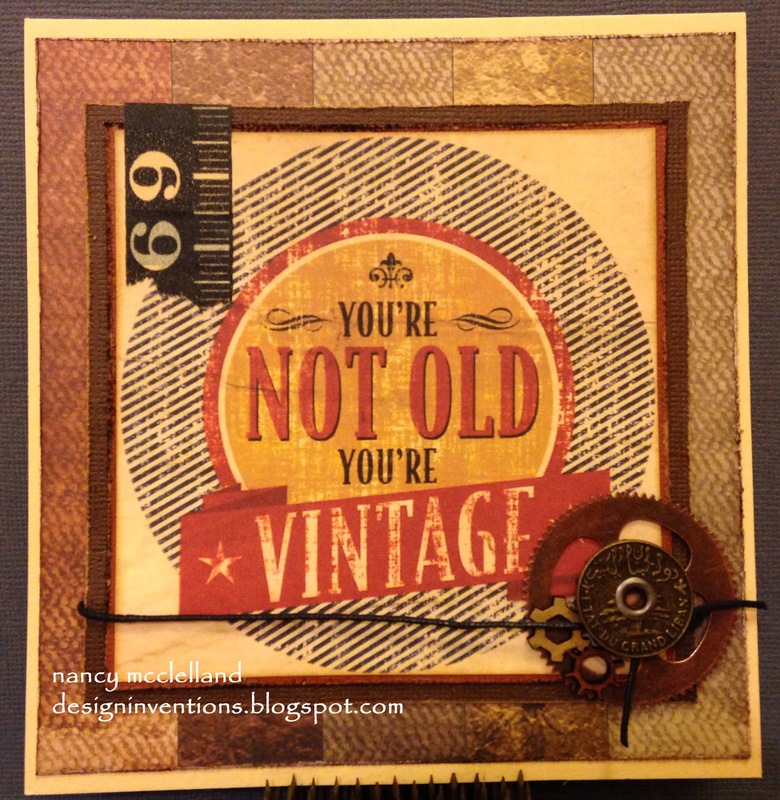 If you're new here to Hiding in My Craft Room then all that means is get out your scraps bins and make a creation, a card, a scrapbook page, a tag, an atc, whatever, using some scraps! Then you can get entered into the challenge and the fabulouso giveaway. Here is my DT inspiration for the week. I love this Sweet 'N Sassy image and how easy it was to color. 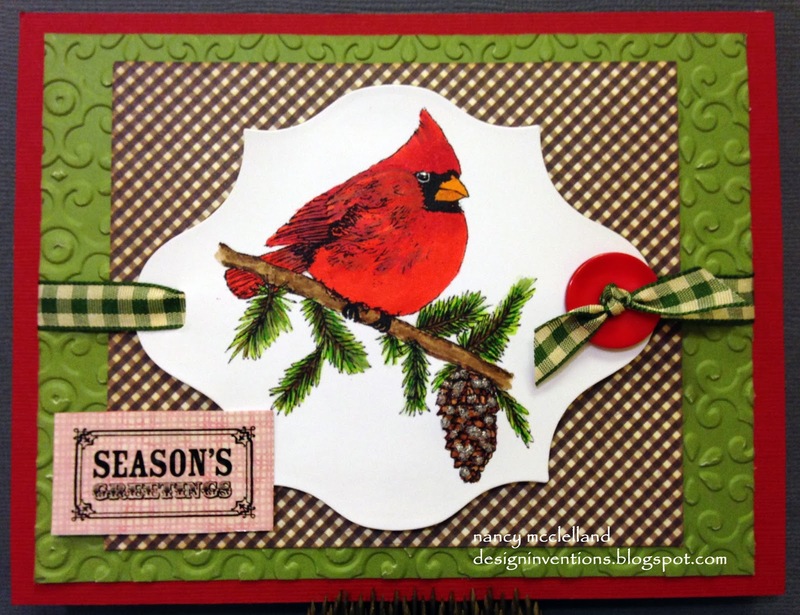 It was perfect to pick scraps from the mess on my desk after making Christmas cards and projects. You have until Saturday, December 21st at 2AM Pacific time, to link up your creation to get entered into the giveaway this week. 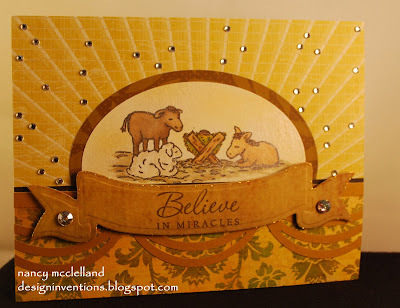 Hope on over to HIMCR and see all the inspiration. Try it Tuesday at Inky Antics features another one of my Guest Designer cards. 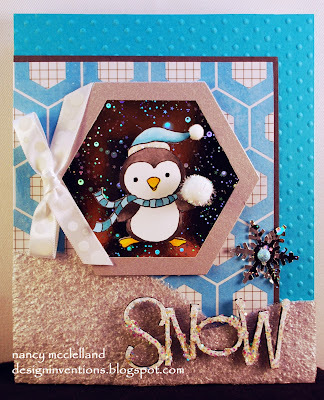 This card uses the HoneyPop collections that I have grown to love. Don't these guys just make you laugh? Almost makes you want to go out and play in the snow???? I have the snow here in Iowa, but I think the temperature with the windchill (-3) I will be convinced to stay inside with my warm coffee. Here's a close up of the front focal image. All the images (on the outside and inside) were colored with Copic markers (Y15, Y17, Y19, BG000, BG53, BG57, T4, T5, and T7), and then I fussy cut them out. I did some recycling of my lightweight packing foam to create the snow and some of the snowflakes. 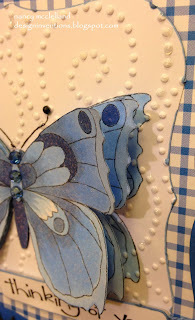 I adhered the lightweight foam to a piece of silver paper, and embossed it with a snowflake design (using a Tim Holtz Alterations Embossing Folder in Snow Flakes.) Then I cut the paper to make the snow drifts. The finishing touches are a few snowflakes and bling." 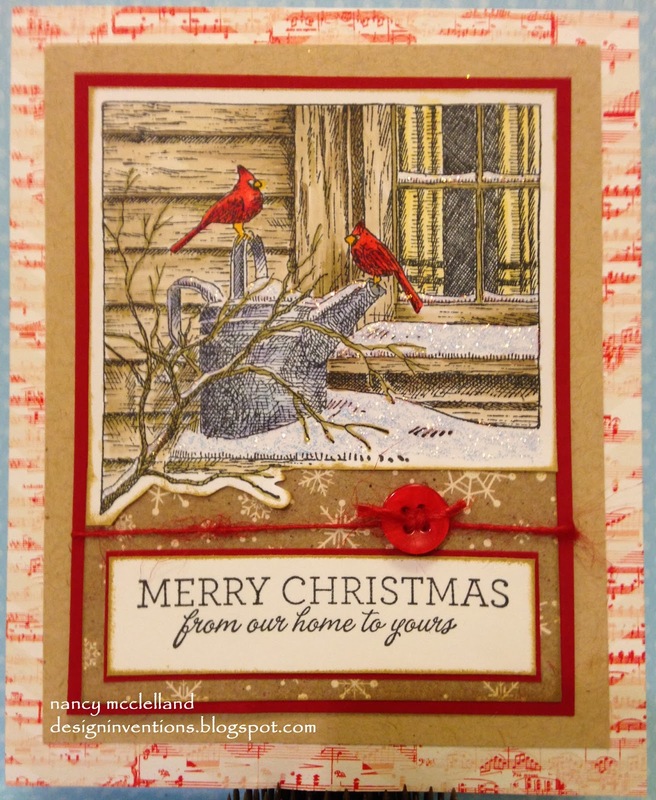 I had a great time making this card and I'm so excited to share it with you in addition to it being feature at Inky Antics. 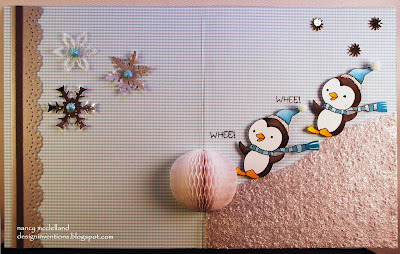 These cards are great and make a BIG impression when the recipient opens to find the pop-up surprise. Thanks for stopping and stay Warm. This week over at The Outlawz, we challenge you to bring us your projects based on your favorite movie or TV program or on your favorite book. Well this was somewhat difficult for me as I really don't have time to read like I should, the few TV shows that are my favorites I couldn't think how I would put them into a project. There are a few iconic lines that always just make me chuckle. I'm not a person who likes to watch a movie more than once, but I will always watch The American President when its on. I love the fact the Annette Benning always gets lost on Dupont Circle, so I made that the center of my card. The President gives Annette Benning's character a Virginia ham as a first gift and he finally realizes he has a rose garden at his finger tips so he can send flowers. If you haven't seen the movie and you're in the mode for a romantic comedy, give it a try. Thanks for stopping by and hop over to The Outlawz and join in the fun. Here's my inspiration card for this week. I love the basic red and green with this touch of black. So I just have to share, being a very proud Grandma. 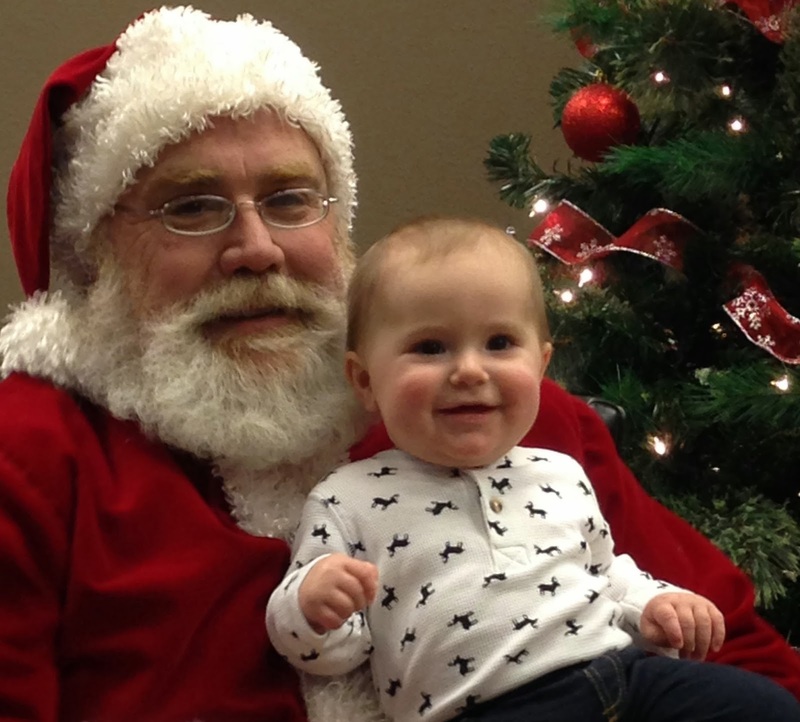 My DIL works at the local bank and today Santa arrived to read to the kids and have a little party. Since Jasper stays with me on Friday's I had the pleasure of taking him to the bank and staying to snap a few pictures. Jasper sat on Santa's lap like a big boy and had a great time. He really is a camera hog. 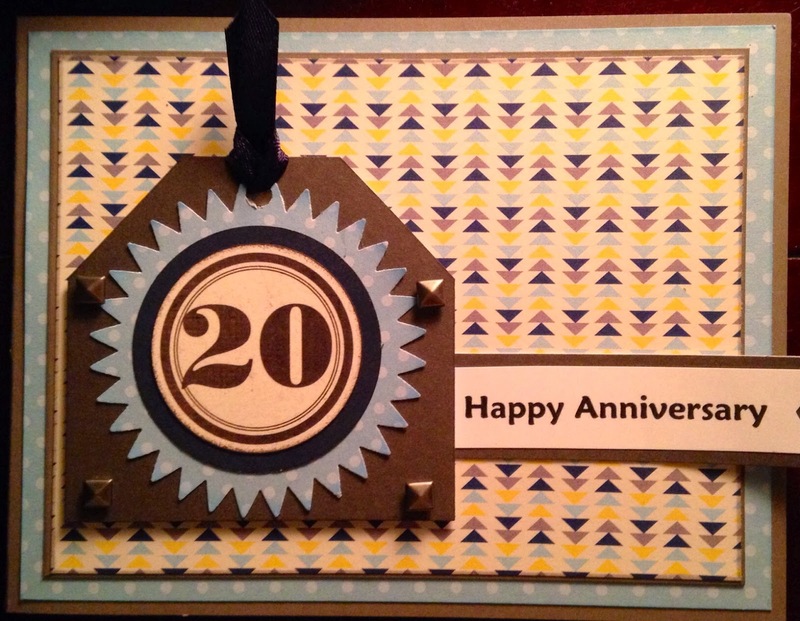 Today my husband and I are celebrating our 20th wedding anniversary. Bill and I both went to the same high school and graduated in the same class but never really knew each other. We actually met at our 20 year reunion, being introduced by mutual friends. We married 6 months later and now it's 20 years later. I got some gorgeous flowers and a wonderful dinner. Here's the card I made for him. I've enjoyed my evening out, now time to watch a little TV. Bill, thanks for the fabulous 20 years! Ok, so I hinted last week that I had some exciting news to share. I was blessed when asked to be the Guest Designer at Inky Antics for the month of December. This was a total surprise and I've had so much fun putting my projects together. I love their stamps so needless to say I was jumping up and down when I received the invitation. 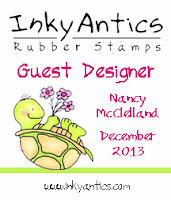 Inky Antics has many different types of stamps and such a variety of products. During the month of December I will have projects featured from different themes that show various styles. There were so many ways to make a card out of this stamp set, but when I saw this paper I knew exactly what I wanted to do. Please visit the Inky Antics blog and see all the details on my card and be sure to leave a comment at the end of the post, and you'll be entered in a BLOG CANDY giveaway. Thanks for stopping today and allowing me to share my news. Please don't forget to visit the Inky Antics site the entire month. It'a another challenge today and this time I'd like to share some gift package ideas for my 613 Avenue Create Design Team project. 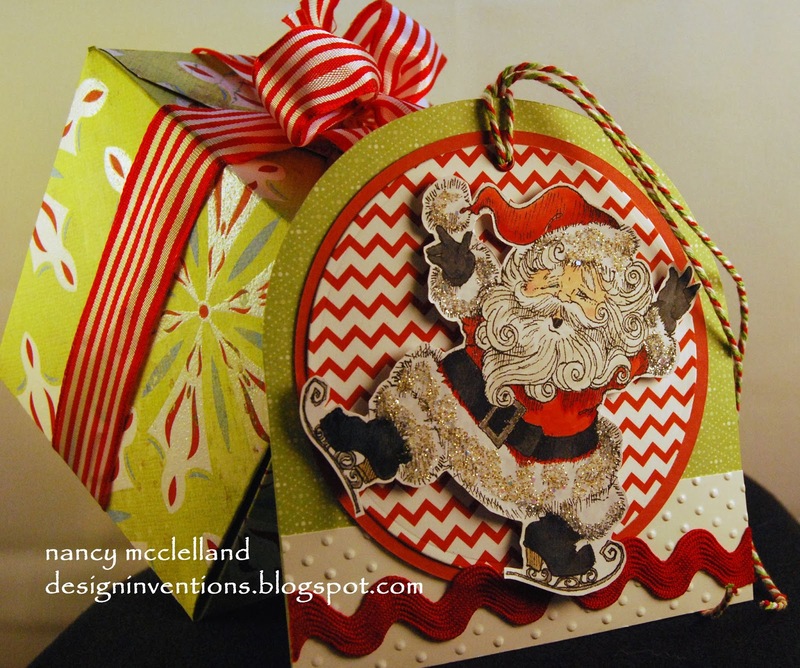 I chose to make a gift box and a gift tag that match. Our sponsor this week is Rick St.Dennis, so I used his Skating Santa image on my tag. Not sure if any of you have the new box maker from We R Memory Keepers, but it's so much fun. I made the square gift box using this new punch board and a 12 X 12 sheet of paper. You can make many other sizes and they are easy. 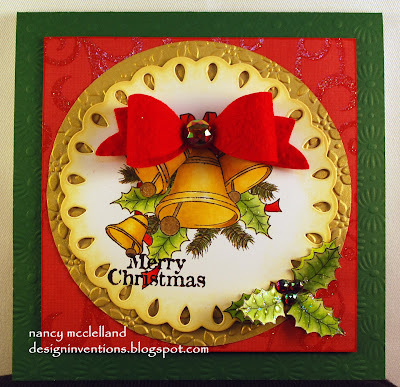 I started with the round tag design and then mounted this on a round top tag base. Standard Xmas colors and a little glitter finish Santa off. I hope you enjoyed this second post today. 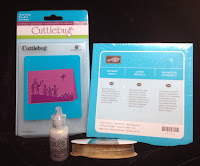 We want you to make a scene this week for our challenge at Hobbycutz. 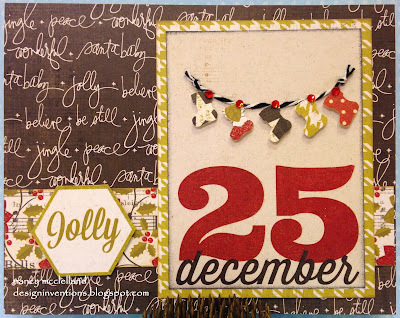 Our sponsor this week is The Stamping Chef, which has some great images. 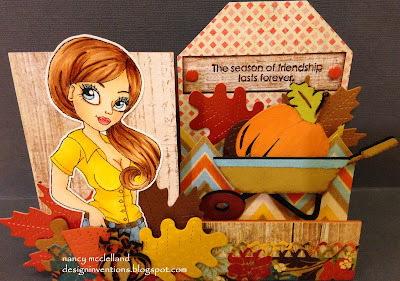 This is a simple step card with a fall scene of leaves and pumpkins. I have several pumpkins and the wheel barrow from Hobbycutz. If you saw my post last week with my Thanksgiving cards, the leaves might look familiar. I had a few left over and they were perfect for this card. 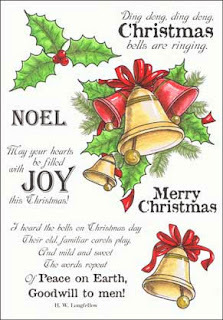 I hope you enjoy this card and stop again soon, how about later today since I'll have another post a little later.